A good night's sleep has long been linked to overall health and wellness, but many Americans still aren't getting the rest they require. According to the American Sleep Association, as many as 70 million U.S. adults have a sleep disorder, and 35.3 percent reported short sleep durations. Sleep problems can be caused by a wide variety of factors, but there are some that can be easily fixed. While the number of hours spent resting is certainly important, it won't do much good if you don't have a quality sleep. A report by the National Sleep Foundation found that although Americans are sleeping within the recommended number of hours a night, 35 percent reported their sleep quality as poor or only fair. In addition, 20 percent stated that they hadn't woken up feeling refreshed within the past seven days. This can take a significant toll on a person. Poor sleep can affect daily activities and impact overall health. Those with poor sleep quality reported lower life satisfaction and higher stress than their restful counterparts. Investing in a quality mattress and talking to a doctor about sleep problems can help improve the overall quality of rest. Electronic media can contribute to sleep problems. In most cases, sleep disorders and problems don't emerge out of thin air. They are cultivated through a wide variety of factors and can begin as early as childhood. The behaviors that individuals pick up in their formative years have a major impact on adulthood and the severity of sleep issues in the future. A research project conducted by James Cook University and the University of Queensland tracked 3,600 people from the age of 14 until they were 21. More than 40 percent of the teens that reported sleep problems continued to experience these issues as they became older. The study found that maternal factors like smoking, depression and drug abuse were the biggest predictors for adolescent sleep problems in their children. Becoming a smoker, being female and experiencing early puberty were the most significant factors for continued sleep issues at 21 years. While some of these predictors aren't entirely avoidable, the report revealed other critical factors for sleep disturbances. For example, the excessive use of electronic media and a lack of active lifestyle can be significant risks. 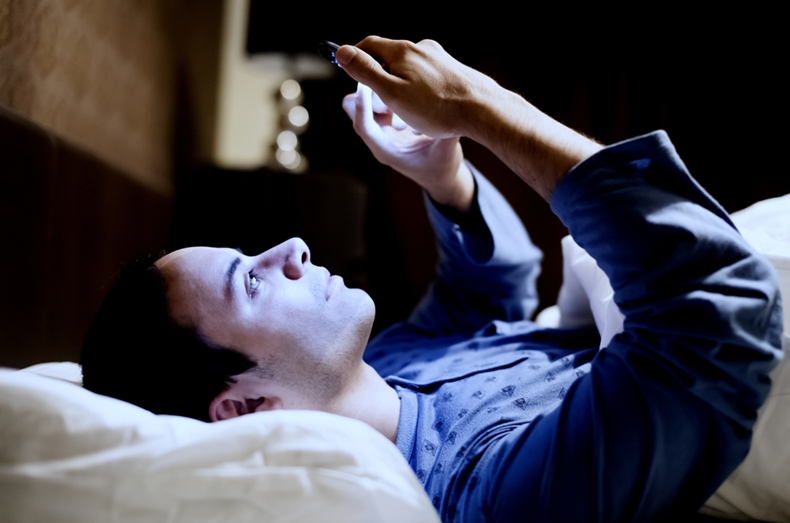 Electronic media like watching television and using mobile devices are associated with later bedtimes and shorter sleep durations, increasing the potential for developing a sleep disorder. Early intervention and better bedtime routines can help people wind down to reduce delayed sleep, overcome daytime drowsiness and contribute to better quality of sleep. Sleep issues are a common occurrence that impacts productivity as well as overall health. Getting the right amount of rest is critical to your wellbeing, but it's also necessary to ensure that it's a quality sleep that will help you wake up refreshed. Doctors should discuss sleep routines with their patients and provide easy ways to improve sleeping habits.